One day, when I was 11 years old, as I sat around with my friends on a lazy Saturday afternoon reminiscing about our crazy escapades, the realization hit me that I loved swapping stories as much as I enjoyed all the adventures! It was then that I knew—although I didn’t have a word for it yet—that I was storyteller. I bring that spontaneity and passion to the books I narrate. 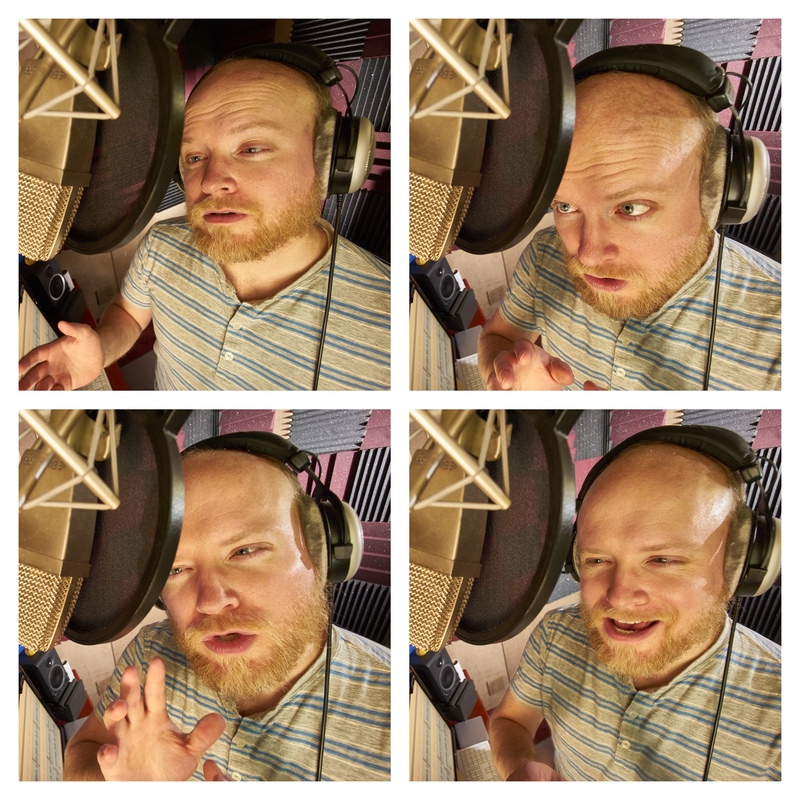 Looking for that kind of narrator? Drop me a line. Want me to narrate in your studio? No problem! Have a book you want narrated and aren’t sure of the process? I can help there too. I’ve been narrating and producing audiobooks in my home studio and other settings since 2009 in a variety of genres. While you can’t get a degree in audiobook narrating I feel I’m a close as they come—a BFA in Acting, BA in English, and MA in Storytelling. My interests in acting, oral storytelling, literature, performance, and communication make me a great fit for any project. Besides narrating audiobooks, I’m also a photographer and storyteller. I’m based in New York and North Carolina, and live with my filmmaker wife, infant daughter, and cat who is the reincarnation of Marlon Brando.